ReTargeter is a diverse tool that allows users to reach their audience, no matter where they are with highly targeted, real-time digital advertising solutions and the best account management in the industry. It uses site retargeting, search retargeting and dynamic retargeting. ReTargeter has full-service display advertising solutions to help you optimize your marketing spend by serving targeted display ads to the right people at the right time. 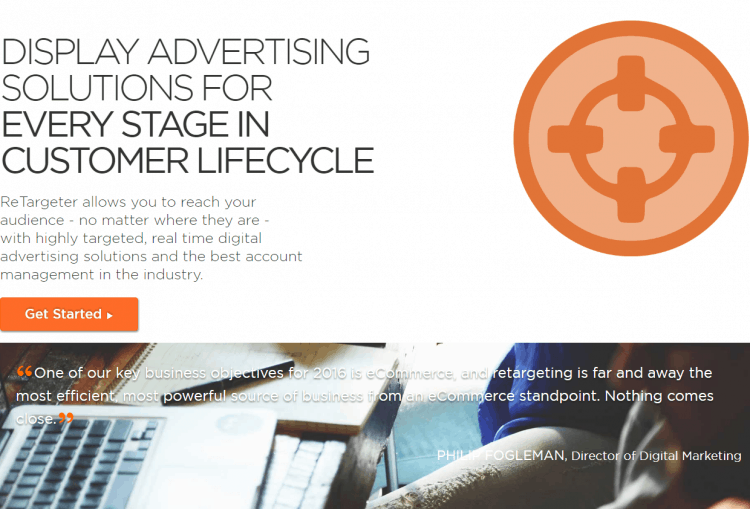 Whether you’re trying to capture new customers, identify a highly qualified audience, or re-engage existing customers, it has the solution to address every step in your customer’s lifecycle. It can be used as a self-service platform or users can pass all of their campaigns onto an account team to run retargeting for them. You can use these search services separately or combine several into a custom package. The platform emphasizes use for ecommerce brands given that the ReTargeter has access to consumer behavioral data of over 150 of the web’s top retailers.